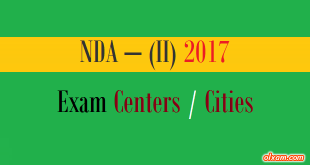 Combined Defence Services (CDS) – I 2017 examination would be conduct on various exam centers across the whole country. 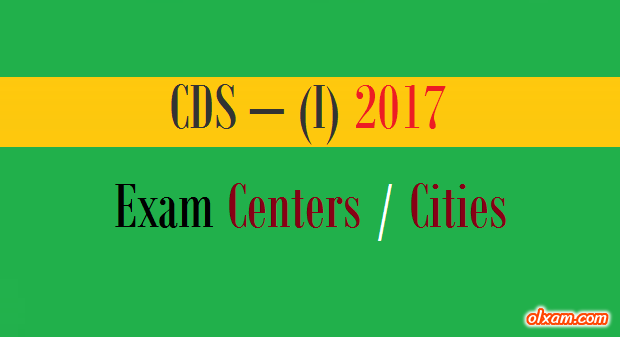 A large number of candidates are going to appear for CDS – I examination 2017. 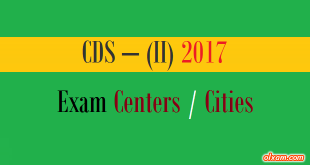 Here in the below list we are providing state-wise list of cities in which CDS – I 2017 exam would be held. Candidates may check their nearest exam city which they will fill as first choice while filled CDS – I 2017 application form. 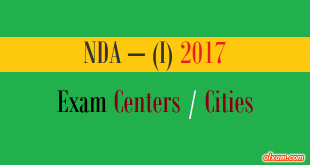 Here in the below table the tentative list of the cities (state-wise) in which CDS – I 2017 exam will be held is given.